Wednesday 29 June - The JULY Newsletter has been uploaded and can be found under the 'News' tab, then 'Newsletters'. 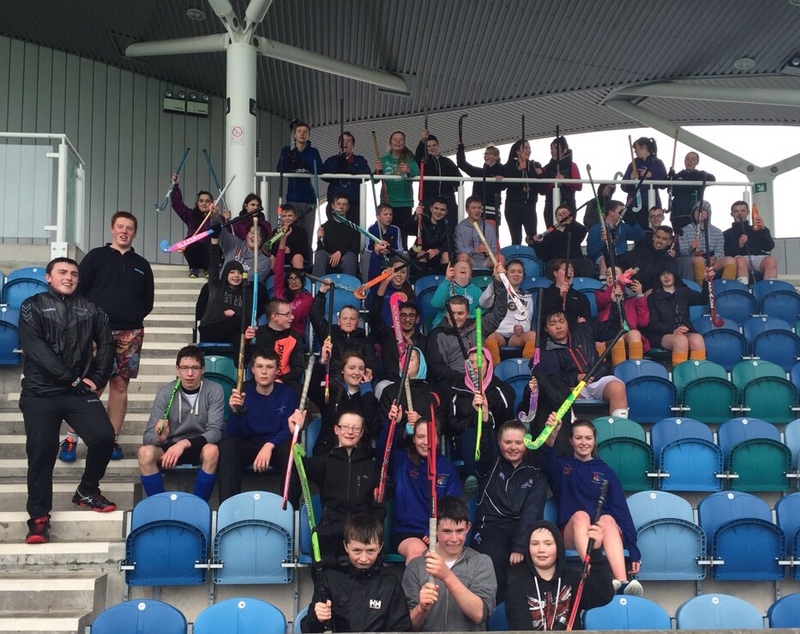 The Sports Summer Term Report, Renfrewshire Track and Field, has been uploaded and can be found under the 'News' tab, then 'Newsletters'. Wednesday 3 February - Senior Boys Basketball team win RESBA Quarter Final tie vs. St. Ninians High 77-59 to set up Semi Final tie at home to Park Mains HS. Wednesday 3 February - S1 Netball team win 11-8 away to Strathaven to proceed to the next round of Netball Scotland Schools cup. Tuesday 2 February - S1 Boys Basketball team record one draw and one loss in RESBA game day hosted by St. Ninian's. Wednesday 27 January - S1 Girls thoroughly enjoyed taking part in an Inter-Authority Basketball Tournament - Full Details of both Team and Individual Success will be in the February newsletter. 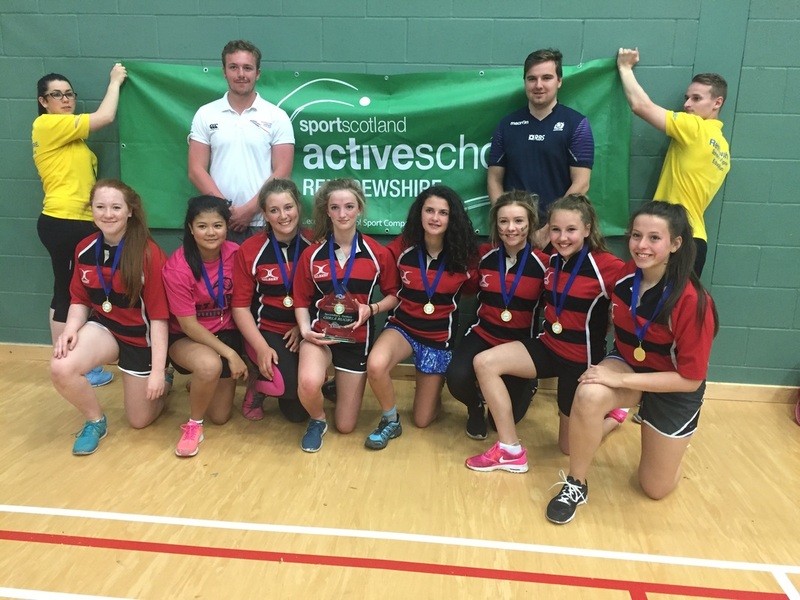 Tuesday 26 January - S1/S2 Netball team win 2 out of 3 games at today's Renfrewshire Active Schools competition. Tuesday 26 January - S1 B Netball team lose 11-3 to Williamwood High School in Scottish Schools Cup. 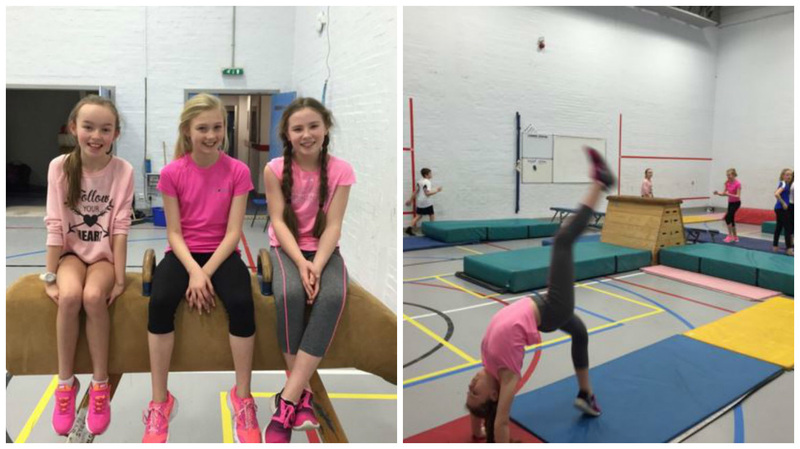 Wednesday 20 January - Houston Primary School's Louise, Megan and Zara win the P7 vs. S1 Gymnastics Challenge!!! Thursday 14 January - Under 13 Boys Football team win 7-1 away to Eastwood High School in Scottish Shield. 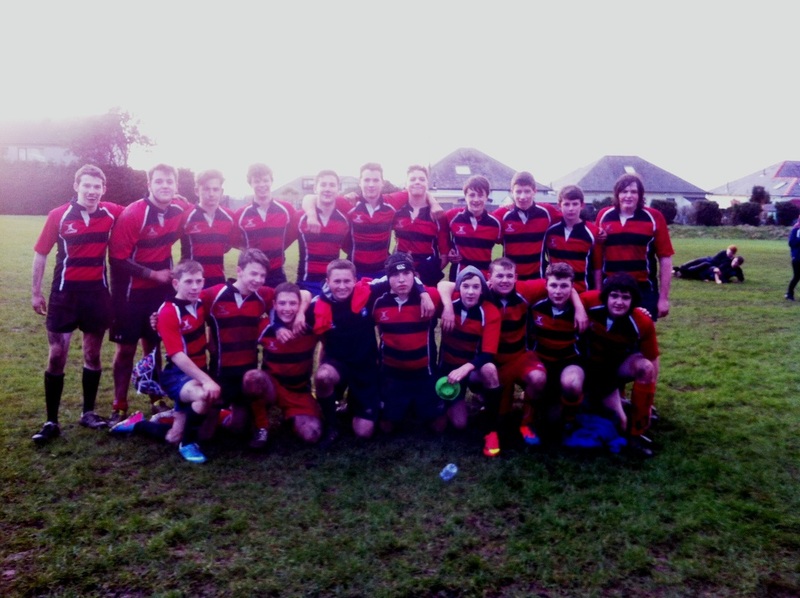 win at home to Park Mains High School. Tuesday 12 January - Senior Boys Basketball team win 58-29 against St. Ninians in RESBA Senior Boys league. Thursday 7 January - Senior Boys Basketball team make winning start to 2016 with 75-31 defeat of St Ninian's High in RESBA league (Renfrewshire and East Schools Basketball Association). 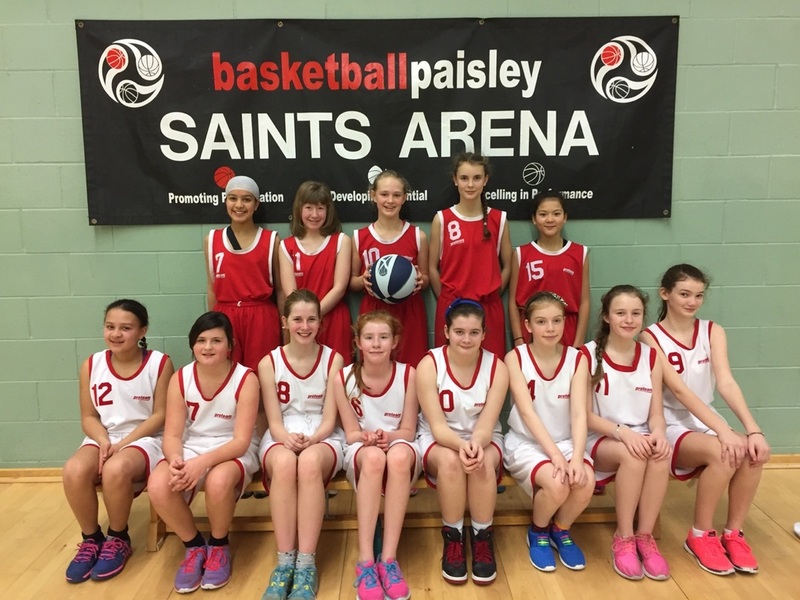 Wednesday 9 December - S2 Girls Netball team lose 28-11 to St Andrews Academy in the Scottish Cup Group stage. Monday 7 Dec - S1 Girls Netball team lose to St Andrews Academy in the Scottish Cup Group Stage. First Netball win of the season for S1(A) team. 9-4 away to Castlehead High. Well done! Gryffe did exceptionally well in the recent November Renfrewshire Schools Road Race, especially at the team races where the S1 boys and girls team both grabbed a great 2nd place and the S2 boys and girls team received a superb 1st place. Individually, second year pupils Andrew Devine took bronze and Alisha Sivell breezed through to take gold! 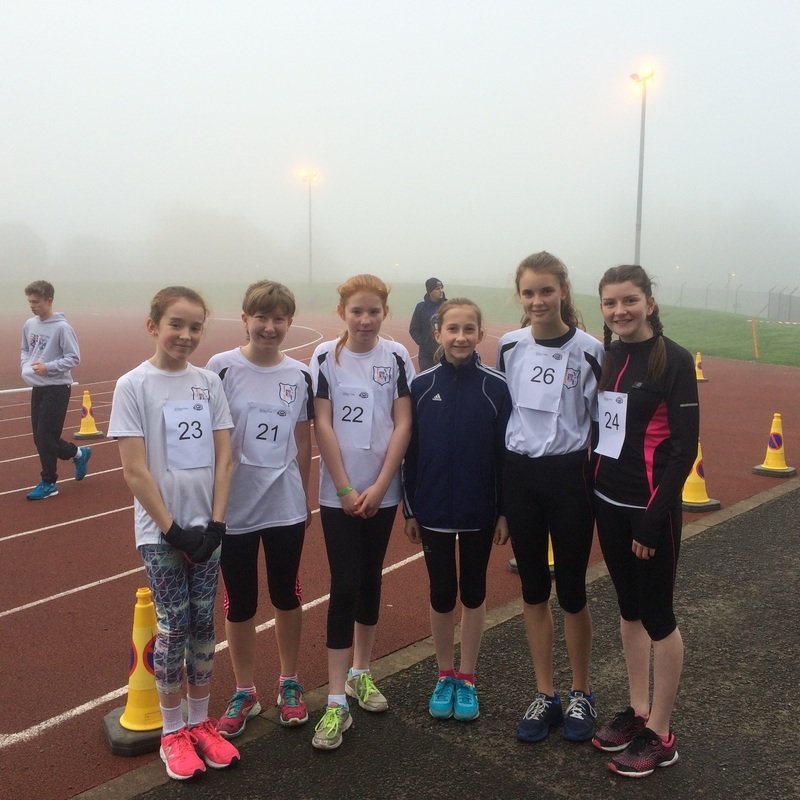 Well done to all who took part on what was a very cold and foggy day! 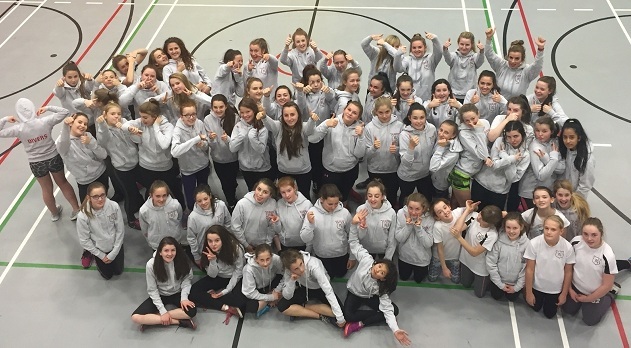 Friday 6 November - Miss Still in PE is proud to introduce the netball team showing off their brand new hoodies! 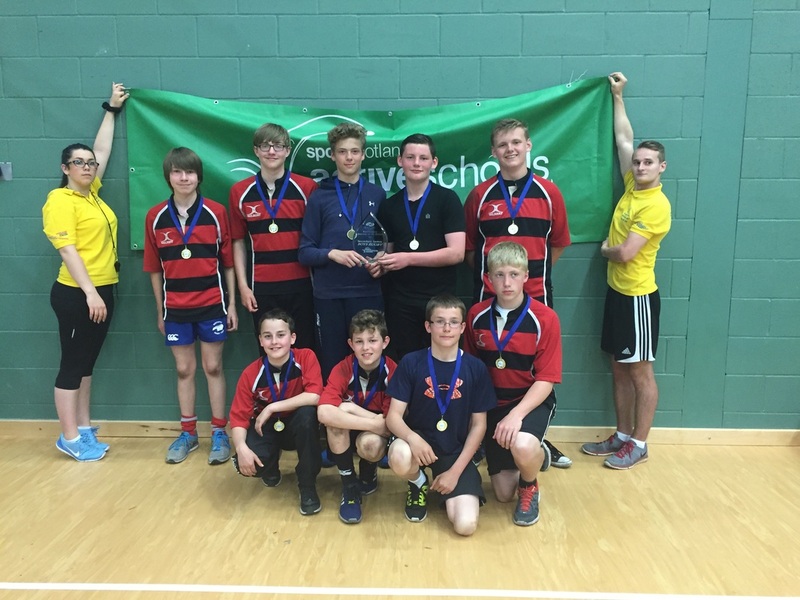 Inter Authority Rugby Winners June 2015. Further detail will be in the July Newsletter. Inter Authority Rugby Winners (Girls) June 2015. Any pupils wishing entered for team championships on 17th June 2015, please see Mr O'Hare no later than Wednesday 13th May. Wednesday 22 April - Scottish Schools Track & Field and Relay/Pentathlon Championships: Any pupil wishing considered for entry to any of the above championships to see Mr O'Hare for entry information. Final entry requirements for both must be with Mr O'Hare no later than Wednesday 13th May. 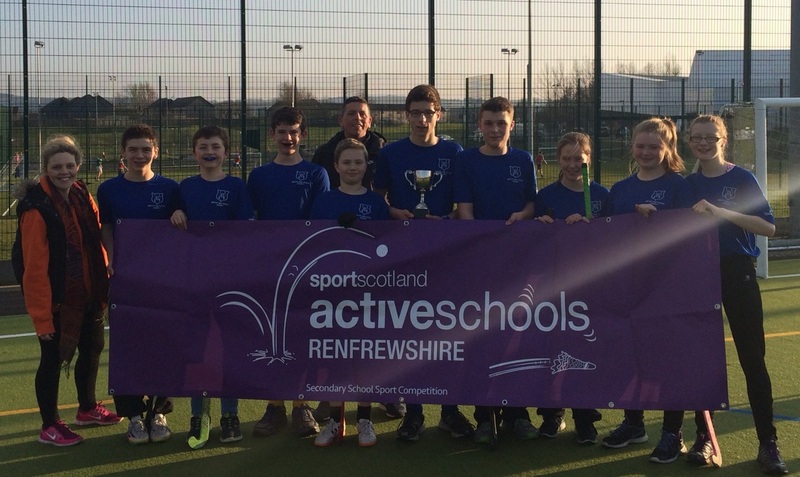 ﻿﻿Wednesday 18 March- Gryffe win Renfrewshire Hockey League. 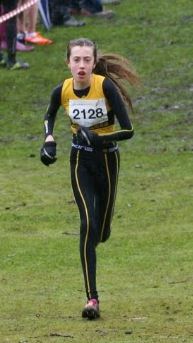 Scottish School Cross Country Championship Success (7th March Irvine) - S1 pupil Alisha Sivell (pictured) came FIRST (in her section), S3 pupil Andrew MacAngus came THIRD and 'Team Gryffe' Rebecca Craig, Rona Tytler, Emma Fulton (all S4) and S5 pupil Katie Hall came FIRST. Well Done! Monday 9 March - There was another victory for Gryffe on the Rugby field last week. This time it was the turn of the Under 18's to post a resounding victory of 22-5 against Garnock Academy at Garnock's Loch Shore pitches . 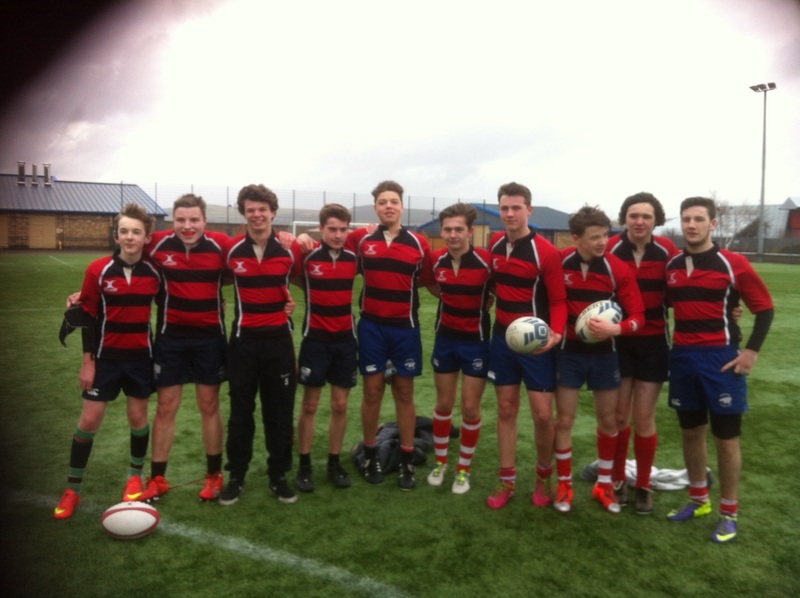 Stand out performers included Tom Colbron of S5 who ran in 4 tries and Kyle Murphy of S4 who scored the other. Well done to the whole team for what was a comprehensive victory and the boys are hoping for much of the same in their upcoming fixtures against Notre Dame and Castlehead. Rugby Team have a Resounding Win! Gryffe Under 16's Rugby team are victorious after their resounding 19-5 win over Largs Academy in the Brewin Dolphin under 16's Bowl competition. Gryffe vs. Portobello HS on Thursday 5th March at 2pm in Games Hall. 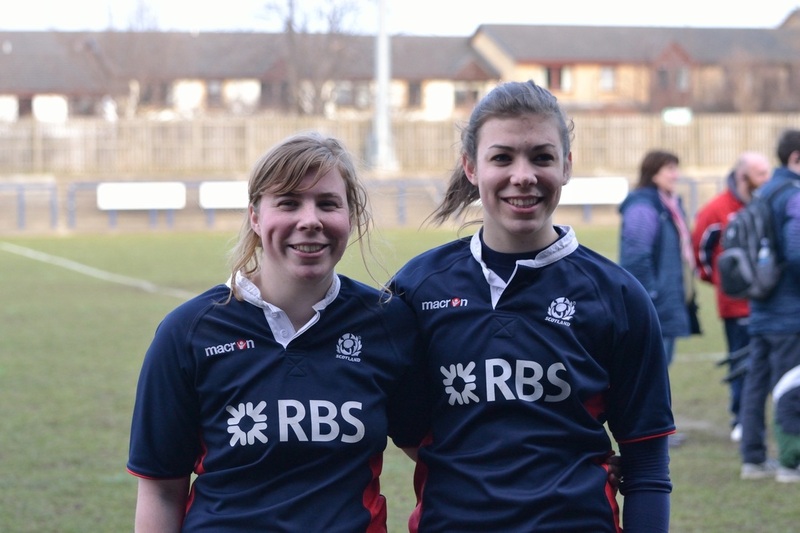 Rugby success - This is the first time two sisters have played in the same team for Scotland U20s, although both represented Scotland at U19 level whilst still pupils at Gryffe, they were never selected at the same time. Further detail will be in the March Newsletter.